Do you slice veggies and then have scraps all over the counter? This Scrap Trap bin will save you all that mess! 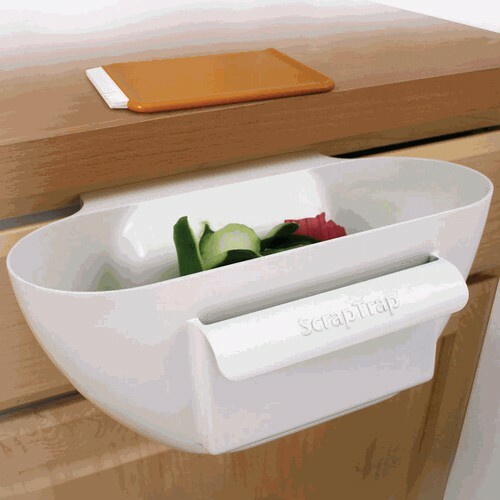 Find this product on organize.com. What a clever idea! That’s something I would use a lot. Or get it cheaper on Amazon! Added it to my wishlist, thanks.